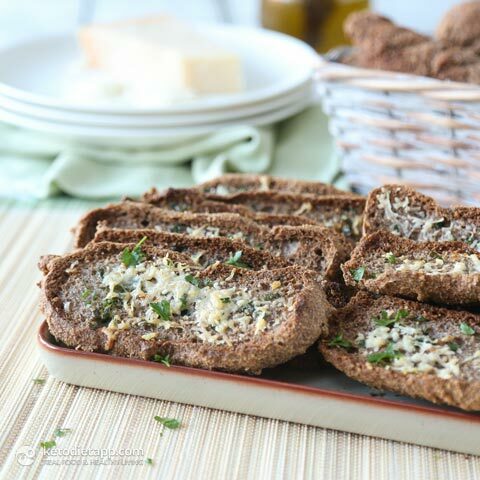 This garlic keto bread is the perfect party appetiser suitable for those following a healthy ketogenic approach. It&apos;s diet-friendly and won&apos;t spike your blood sugar. Both baguettes and compound butter can be prepared in advance and crisped up in less than 15 minutes. 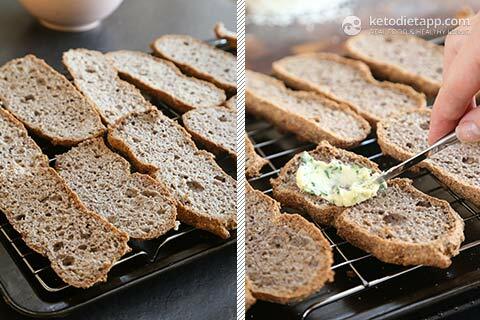 If you can&apos;t eat dairy, skip the cheese topping, swap the sourdough keto baguettes with Ultimate Keto Buns and use lard or duck fat to make the compound butter. 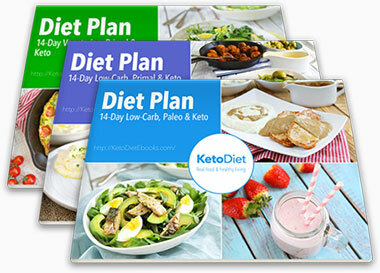 Macronutrient ratio: Calories from carbs (5%), protein (16%), fat (79%). 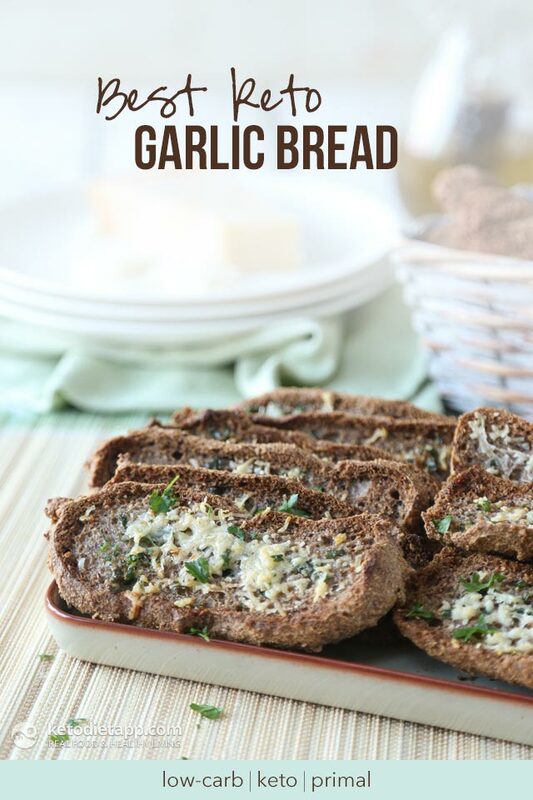 Mote: Garlic bread is best when prepared fresh. You can halve the recipe by freezing the remaining baguettes and compound butter for future use. Both freeze well. 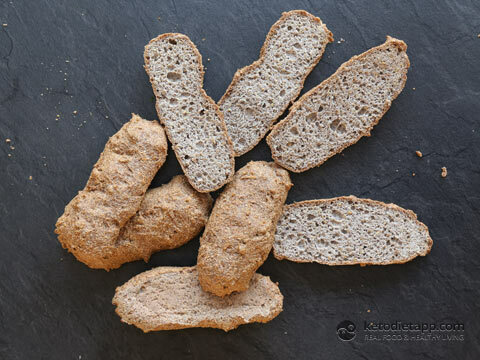 Prepare the keto sourdough baguettes by following this recipe (you can make 8 regular or 16 mini baguettes). 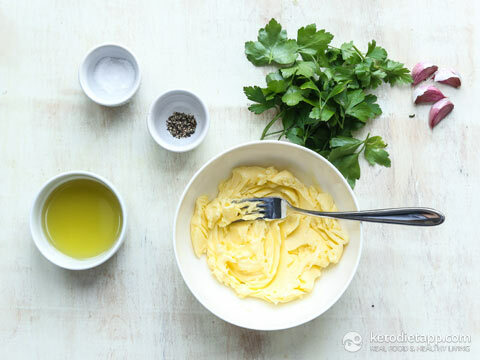 Prepare the garlic butter (or any other flavoured butter). Make sure all the ingredients have reached room temperature before mixing them in a medium bowl. Cut the baked baguettes in half and spread the flavoured butter on top of each half (1-2 teaspoons per piece). 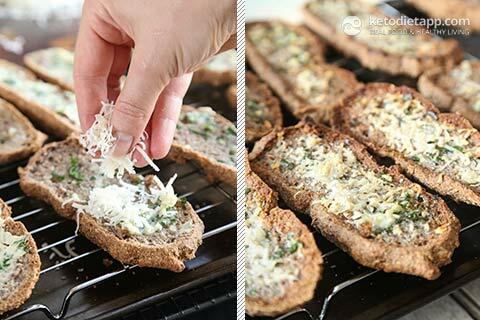 Sprinkle with grated Parmesan and place back in the oven to crisp up for a few more minutes. When done, remove from the oven. Optionally, drizzle with some olive oil and serve while still warm.